Do you grow medical marijuana? Would you like to have more of it? 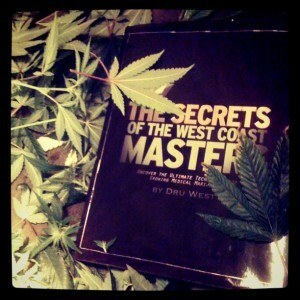 Ounces are for amateurs, according to Dru West, author of The Secrets of the West Coast Masters. West wants to teach you how to yield a pound per plant — indoors. The West Coast Masters are medical marijuana growers and patients from California, Oregon and Washington state. After researching the leading cannabis cultivation techniques from around the world, including bonsai and tomato horticulture, they developed what they call the “ultimate techniques” for growing medicinal marijuana. Video of the Day: NORML PSA, Do You Know Where Your Police Are? Police in Delaware County are investigating a case where an elderly couple became the accidental recipients of a five-pound brick of marijuana, mistakenly delivered to the couple’s home last week. Police are attempting to track down the origin of the illegal substance, which they say UPS delivered. The package had been addressed to someone whose name they did not recognize, but the old couple decided to open the package anyway. That’s when they found pot inside and called the police. Police superintendent Michael Chitwood described the marijuana as “high quality,” worth about $22,000 on the street. He says that these deliveries were more common than most people think. “During the course of a year, we’ll probably get anywhere from six to ten of these types of things,” he said. ​Once in awhile, corporate America commits such a glaring injustice that people are sickened by the inhumanity of it. Such was the case last year when a Michigan Walmart fired its former Employee of the Year, Joseph Casias, after he showed up positive for marijuana on a routine drug test — despite the fact that he is a seriously ill cancer patient legally using medical cannabis on the recommendation of his physician. Casias, 30, who has an inoperable brain tumor, was sacked by the Battle Creek Walmart after he failed a routine urine screen following a workplace injury. And despite a chorus of nationwide protest, the corporate behemoth stuck by its heartless decision and eventually prevailed in court after a judge upheld the dismissal. Casias said that he only used marijuana after his work shift, and never used on the job. He tried cannabis after his oncologist suggested it. Joseph was Associate of the Year at his Walmart store — until they fired him for being a legal medical marijuana patient. Joseph’s attorneys, including a team from the American Civil Liberties Union (ACLU), said that his firing undermined Michigan’s medical marijuana law, and forced patients to choose between jobs and medicine. His case attracted so much attention that it influenced the writing of medical marijuana laws in places like Arizona, where an initiative including workplace protection for cannabis patients was approved last November. But meanwhile, Joseph Casias, a family man, is still out of a job in Michigan’s grim economy. Walmart last year even tried (unsuccessfully) to deny him his unemployment benefits. “Medical marijuana helps me and a lot of others, and I am grateful for every person who helps sick patients with their medicine and information on medical marijuana, because without people like them I would not know what I know today,” Casias said. It’s time for the medical marijuana community to pitch in and help one of our own. A three-day Great Lakes Compassion Benefit for Joseph Casias has been set for Friday, September 16 through Sunday, September 18, at Lucky Lake Campground, 3977 West Wilke Road, Montague, Michigan. Enjoy beautiful natural surroundings while supporting a good cause. ​ A beautiful 180-acre campground which has a 40-acre private lake has been secured for the event. Weekend passes with camping will be available as well as single day passes for Saturday, September 17 only. Ticket prices will include a donation for Joseph. Event ticket prices will be announced soon and “will be reasonable,” according to event organizers. Lucky Lake is a private lake and fishing is allowed without a fishing license, but is “catch and release” only. A fishing contest is anticipated; bring your fishing poles and cameras to take pictures of your catches, because you will be required to release them. The site is still quite warm in September, so bring a swimsuit, along with a raft or inner tube, and relax in the clean, sandy-bottom lake. Water volleyball nets are set up on the beautiful sand bar on one side of the lake. Most campsites are along the shoreline. Picnic tables and fire rings are on the campsites. The beach area has grills and picnic tables, as well as some hammocks in the pines overlooking the beach. Items will be raffled, including a 1000-watt HPS light system, patient certification/recertification (must have qualifying medical condition), grow supplies and many other items. All proceeds from the raffles will go to Joseph Casias. 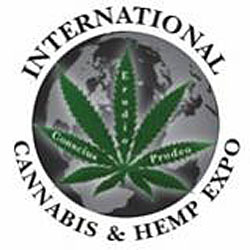 The event is looking for sponsors, vendors, bands, comedians, arts/crafts, industrial hemp products, and event committee members. If you’re interested and would like to participate, you can “Like” the event’s page on Facebook and contact the organizers. 1. Please help promote this benefit for Joseph (i.e. email, word of mouth, Facebook, etc). 2. All suggestions for fundraising ideas for Joseph are welcome and appreciated. 3. Donations for door prizes. 4. Donations for the pig roast are needed. A pig roaster, pig, plastic ware, paper products and additional accompanying items as needed. 5. A web page designer is needed. The web page will provide details regarding the event and allow those who cannot attend to donate online to Joseph. 6. Volunteers are needed for the fishing contest, pig cooking, and for the door prizes. 7. Individual or Business financial sponsorship to help cover expenses. 8. Vendors (foods, artists, crafts). 9. Bands that will perform free-of-charge. If you can help, please email Clark Nienhuis at harleydakotadog@aol.com. Marijuana patients are being detained and/or arrested at airports and in their cars for transporting their medical Cannabis. To a patient, or any rational person, the intent of the law seems clear, which is to allow a patient to travel with their medicine, whether Oxycontin or Cannabis. Unfortunately, the Hawaii`i Narcotics Enforcement Division (NED), police, prosecutors and at least some judges don’t see it that way, and they are enforcing the law as harshly as they can. The issue of inter-island travel is important for Big Island residents, as we make up about 60% of medical Cannabis patients state-wide. Almost all major medical procedures (chemotherapy, surgery, dental work, etc.) take place on Oahu, and without dispensaries, patients must smuggle their medicine, take risks buying it on the black market, or do without it. In my own personal experience, back in 2007 I talked to a TSA agent at Kona airport, who informed me that I could either declare the Cannabis at the beginning, or pack it, and then produce my “blue card” if they found it. I decided to see what would happen. I put my medicine, pipe, grinder and lighter in an opaque (hemp) bag, placed my blue card on top, placed it in a coin tray and then onto the conveyor belt. It passed through, and I picked things up on the other end…I was shocked, surprised and thrilled! On the return leg, I put the kit into my carry-on bag on the top. Again, it sailed through the x-ray machine without incident. I tried the same thing on two more trips to Oahu during 2007, all with the same result. Then, on Christmas Day 2007 on my way to Oahu to visit a friend, the world had changed. The TSA staff all looked like they had just arrived from the mainland, they ignored the “blue card” and pulled me out of line. They called airport security, which is really all they can do. The rent-a-cop threatened me with arrest and said the DEA would be taking me away in hand cuffs. The “DEA” never showed up, so the rent-a-cop confiscated my medicine and let me catch my flight. The following day a Hawai’i County vice squad officer called me and asked that I come in for questioning. I was actually going off island, and told the officer I would call when I returned, as I wanted to have a lawyer with me. The officer said fine, and that was the last I heard about it. In the ensuing few years I had often received second hand accounts of similar events, but never spoke directly to patients who had gone though a similar experience. It has only been in the past year that I have been able to finally talk with others, and learn what exactly has been going on. The following is based on six patients, all of whom had problems on the Big Island. I think it very likely this happens on other islands, but I have not been able to confirm it. There are private security guards at each check point, and although they carry guns, they are unable to arrest anyone. They are usually retired law enforcement officers, and while some are nice, others are not. They may threaten you, or try to get free information, but you are under no obligation to tell them anything. They will contact the police or sheriff. Attached (here, here and here) is a copy of a memo from the Alameda County Corporation Counsel to the Sheriff’s Department, which oversees security at Oakland International Airport. It directs the Sheriff to follow California state law if they encounter a patient traveling with medicine and a valid recommendation. I understand that similar procedures are followed at San Francisco, San Jose and Los Angeles airports, but I have not seen anything in writing. I have tried to get Hawai’i County Corporation Counsel Lincoln Ashida to issue a similar memo, but he has simply referred me back to the Narcotics Enforcement Division, who of course stonewalled me. Ms. Jodie Maesaka-Hirata, the director of the Department of Public Safety has also refused to help out. The Hawai’i Medical Cannabis Program was passed in 2000, and was the first one done by a state legislature (California’s Prop 215 had been passed by voters in 1996). Although the intent of the legislature would seem clear, the law is poorly written and is being interpreted and enforced in the narrowest possible way, to the detriment of patients state-wide. There were two cases in Hilo that were dismissed by Judge Takase, who ruled that the law was so vague, no one (patients, police or prosecutors) could properly interpret it. The Hawai’i County Prosecuting Attorney has appealed the ruling. The defendant who was found guilty by Judge Florendo is also appealing. The ACLU has joined the fray and submitted an amicus brief on behalf of the patients. A ruling is expected eventually (it may take one year.). Perhaps the loser will appeal to the state Supreme Court, and it may take even longer to get a final, clear interpretation. The narrow interpretation is also being applied to patients transporting their medicine in cars, and in effect restricts a patient to being at home (or going to/from their caregiver). This is unreasonable and unacceptable, and we will continue to work to find a remedy. If you are a patient and are traveling by car, my advice is to put your medicine in the trunk. (If you don’t have a trunk, then lock it in the glove box.) Also, do not smoke in your car. Finally, know your rights. There are two excellent DVDs produced by the group Flex Your Rights (www.flexyourrights.org): “Busted” and “10 Rules for Dealing with Police” (which is newer). There are free versions on YouTube or you can order them on line. Know your rights and try to exert them. It may come down to your word against that of the police officer, but you must know what to expect, and these videos are worth watching. Ashes, Chris, Gemma and Pa are young people whose lives revolve around the business of marijuana. Although passionate about their unorthodox professions, these entrepreneurs’ dealings with weed threatens some of their closest relationships. I don’t know that I completely agree with the cast choosen for this episode. I would like to have seen a variety of established Medical Marijuana Business workers/owners rather than these grassroots start up ventures. Ashes is your typical household pot dealer, I don’t see anything legitimate about her “business” and for this reason I feel that featuring her as someone ‘in the marijuana business’ has a negative effect on the fight for legalization. It would have been more beneficial to highlight the work of a Budtender at a medical marijuana dispensary. Chris is working towards his goal of being a grower/vender for medical cannabis dispensaries by going to Oaksterdam University. A word of warning, just because you go to and or graduate from Oaksterdam doesn’t mean you will be granted a spot in the marijuana industry. Since the business is still very much a legal grey area, established dispensaries may tend to keep their operations tight knit.